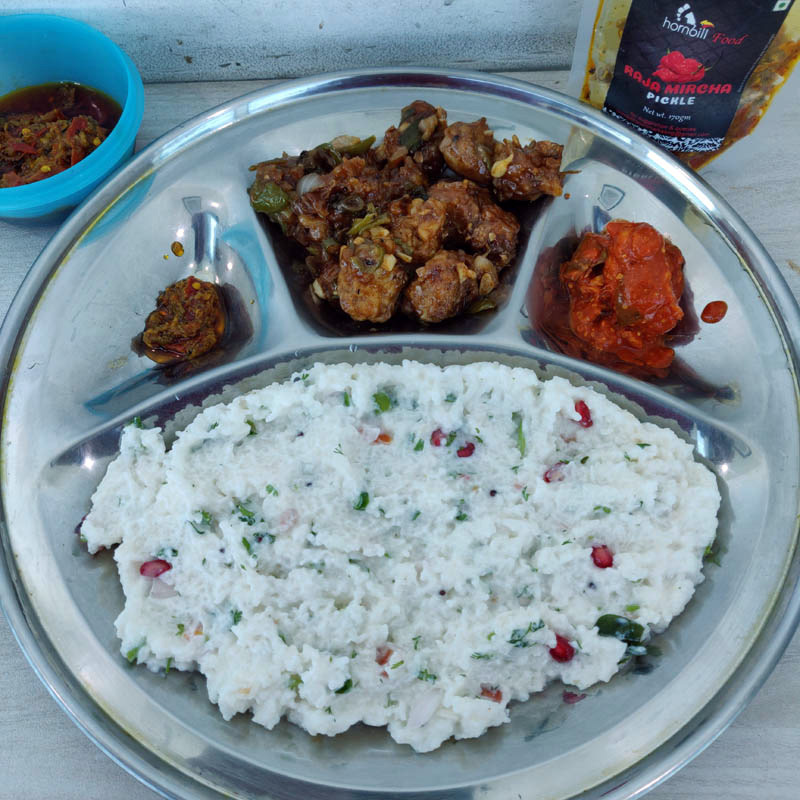 Last month, I went an entire week from Monday to Friday on just Curd Rice alone! 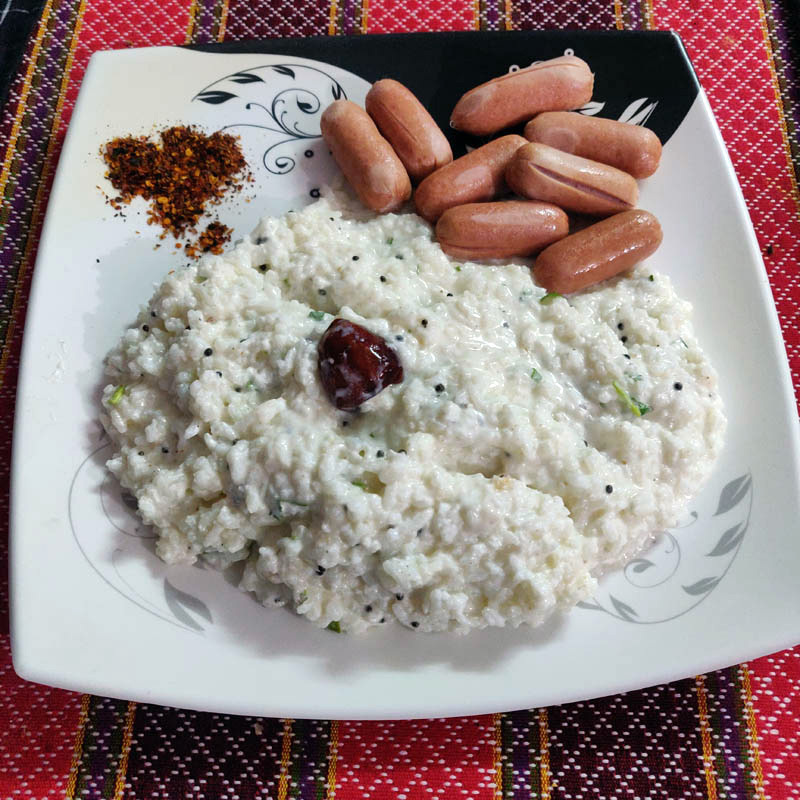 As most of us know, Curd rice is considered to be one of the healthiest food in the planet, as it is rich in proteins and carbohydrates, heals stomach upset and improves immunity, cools down the body, increases digestive process, reduces stress and anxiety, and so on. 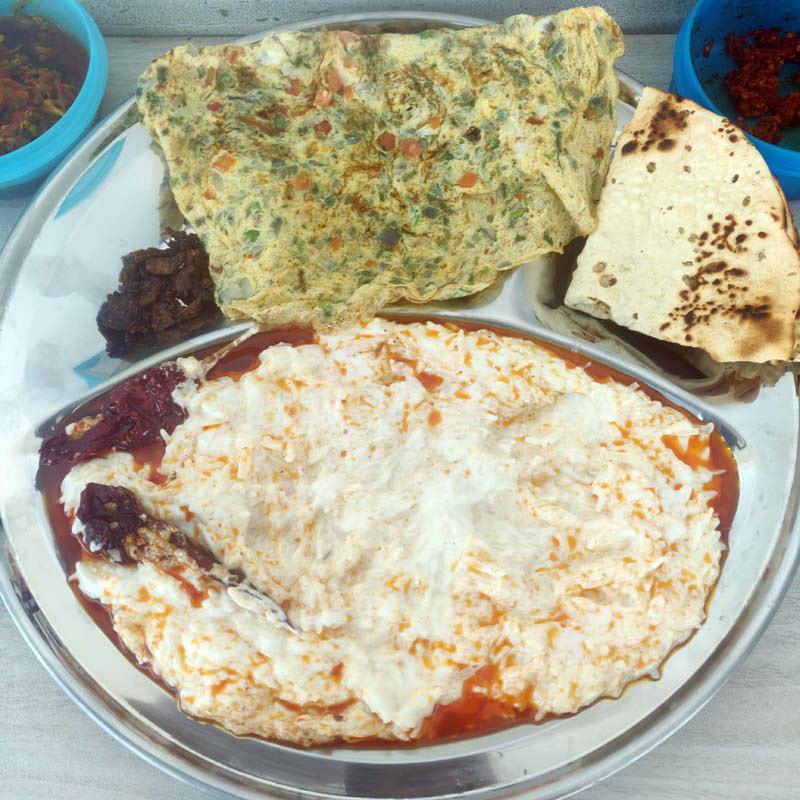 Pocket Friendly Café, Viman Nagar. My third Curd Rice order was from Rajput, which is just walking distance from my house. 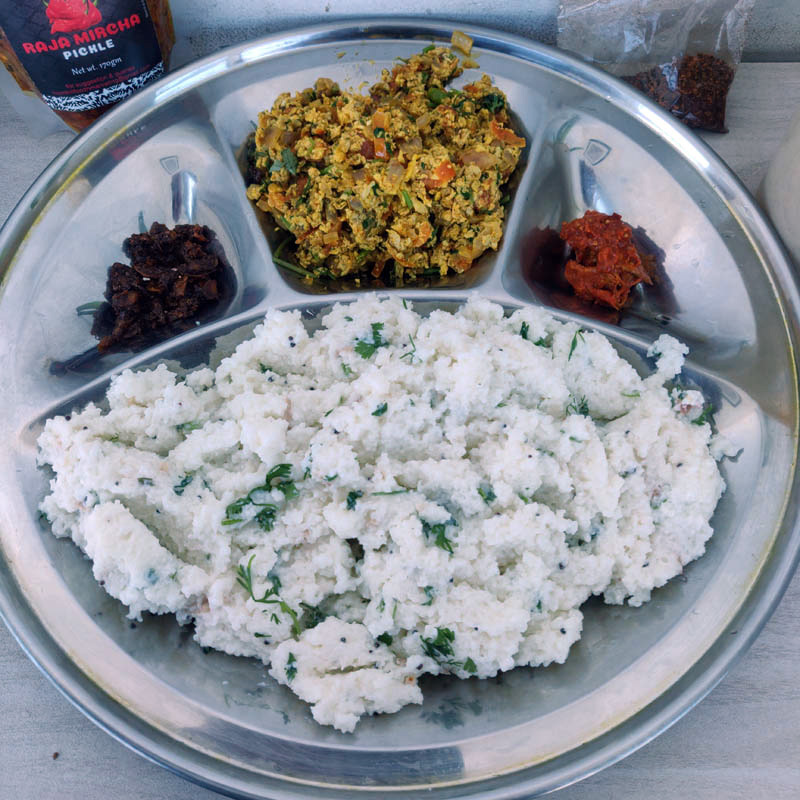 Their style of curd rice is a little bit different as it is enriched with oily tempered seasoning of ground spices (tadka). The above picture may look a bit oily, but it is not so once you eat it (as the oil does not seep through the thick curd). Chopsticks Spice Malabar, Viman Nagar. On Thursday, I ordered Curd Rice from Chopsticks, which specialized in Kerala cuisines. Even though their tadka version contained a lot of ground spices, it had less oil compared to the Punjabi version from Rajput restaurant. 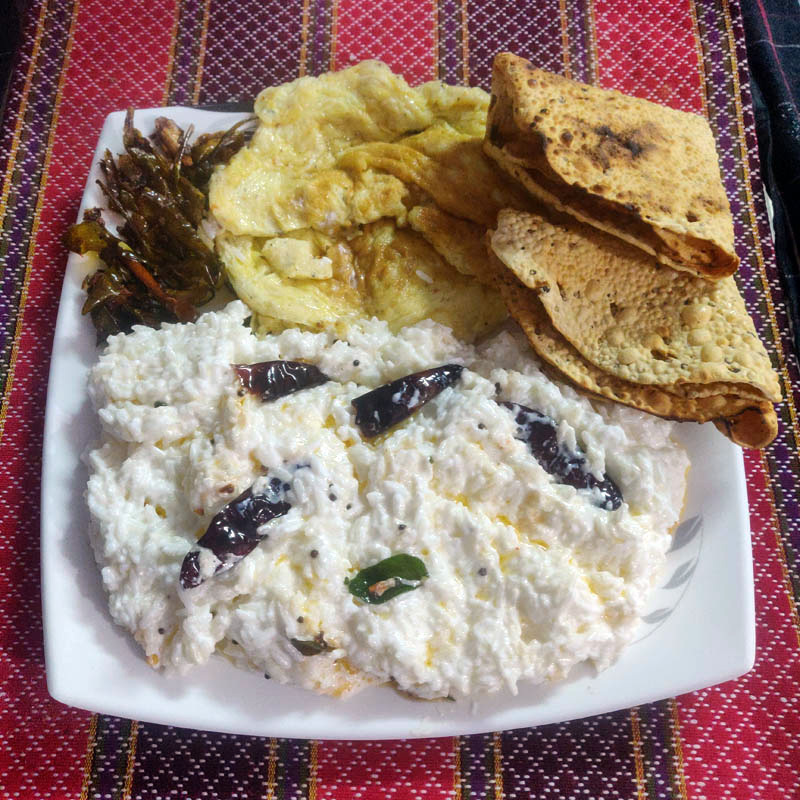 I had the curd rice and roasted papad with some homemade chillies grinded with fermented shrimps and omelette. Yummmm! And finally, to end my week-long Curd Rice diet, I ordered from Dakshin Bhavan on Friday. Since it was just 80 bucks, I was a bit skeptical about the quantity and ordered Pongal Rice as well, but boy was I wrong. It was filling, and the taste was awesome. Their curd rice was also quite unique too, as it had pieces of pomegranate in it! The subtle sweetness was countered well with my King Chillies. You should follow such a diet regime too, it is really good for the body. Until my next post then, cheers.